This privacy statement applies to RentonChristian.org and Renton Christian School websites, services and products that collect data and display these terms, as well as their offline product support services. It does not apply to Renton Christian School sites, services and products that do not display or link to this statement or that have their own privacy statements. Some products, services or features mentioned in this statement may not be available in all markets. You can find more information on Renton Christian School commitment to protecting your privacy at https://www.rentonchristian.org/. Browser controls to block and delete cookies. Renton Christian School collects many kinds of information in order to operate effectively and provide you the best products, services and experiences we can. We collect information when you register, sign in and use our sites and services. We also may get information from other companies. We collect this information in a variety of ways, including from web forms, technologies like cookies, web logging and software on your computer or other device. Renton Christian School uses the information we collect to operate, improve and personalize the products and services we offer. We also may use the information to communicate with you, for example, informing you about your account and security updates. And we may use the information to help make the ads you see on our ad-supported services more relevant. We will share your personal information with your consent. We may also share or disclose information with Renton Christian School affiliates and vendors; when required by law or to respond to legal process; to protect our customers; to protect lives; to maintain the security of our services; and to protect the rights or property of Renton Christian School. To help prevent others from viewing your personal information, you first will be required to sign in. How you can access your personal information will depend on which sites or services you have used. You can opt-out at any time. Just email us, write or fill out the contact form with your concern and request. When a Renton Christian School site or service collects age information, it will block users under 13 or obtain consent from a parent or guardian before their child can use it. When consent is granted, the child's account is treated much like any other account, including letting the account holder communicate with other users. Parents can change or revoke consent as described in this privacy statement. Most of the online advertisements on Renton Christian School sites and services are displayed by Renton Christian School Advertising. When we display online advertisements to you, we will place one or more cookies in order to recognize your computer when we display an ad to you. Over time, we may gather information from the sites where we serve ads and use the information to help provide more relevant ads. You can stop the delivery of future promotional email from Renton Christian School sites and services by following the specific instructions in the email you receive. Depending on the respective service, you may also have the option of proactively making choices about the receipt of promotional email, telephone calls, and postal mail for particular Renton Christian School sites or services. You can opt-out at any time. Just email us, write or fill out the contact form with your concern and request. Certain services or features can use information about your location to provide services you request or personalize your experience. Location information may include data identifying nearby cell towers and Wi-Fi hotspots, as wells as Global Position System (GPS) data. Renton Christian School account is a service that lets you sign in to Renton Christian School products, web sites and services, as well as those of select Renton Christian School partners. When you create a Renton Christian School account, we ask you to provide certain information. When you sign in to a site or service using your Renton Christian School account, we collect certain information in order to verify your identity on behalf of the site or service, to protect you from malicious account usage and to protect the efficiency and security of the Renton Christian School account service. We also send some of this information to sites and services that you sign in to with your Renton Christian School account. We use demographic information – gender, country, age and postal code but not your name or contact information – from your Renton Christian School account to provide personalized ads to you. 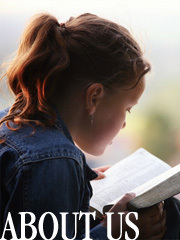 If you have a technical or general support question, please visit www.rentonchristian.org to learn more about Renton Christian School Support offerings. If you have a Renton Christian School account password question, please visit Renton Christian School account support. If you have a general privacy question or a question for the Chief Privacy Officer of Renton Christian School or want to request access to your personal information, please contact us by using our Web form. By email at info@rentonchristian.org, or mail: 15717 – 152nd Ave SE, Renton, WA 98058.